In late October, 2013, the Only Love Project’s Bill Murphy (BM) spent an hour on the phone with author, poet, Master Dharma Teacher Ven. 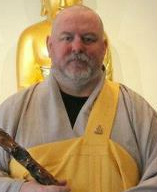 Dr. Wonji Dharma (WD), founder of the Five Mountain Zen Order and President of Buddha Dharma University. What follows is the transcript from that inspiring interview. Enjoy! BM: Briefly tell us your background. What would you like others to know about you? WD: Well, first off, it’s really not important who and what I am and where I come from. However, that stated, I would like to give some credit to my first teacher, Swami Siraj, who was a disciple of Bhagwan Shree Rajneesh. 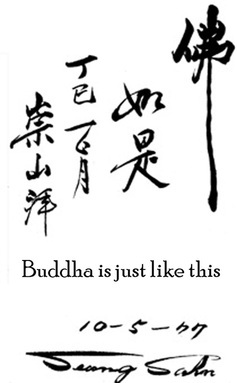 He opened the door to the Dharma for me. I also have to give credit to, and mention my lifelong dedication to Zen Master Seung Sahn, who I found a few years later; he opened my eyes and opened my heart to the truth of this world. And lastly, I have to give credit to the Honorable and Venerable Suhita Dharma for his lifelong dedication and selflessness in his aspiration to help others on this path. Beyond that, I’m merely trying to emulate what it is that these people who have taken significant portions of their lives to help me see the truth, I dedicate my life to following as best as I can in their footsteps. So that is all I really want to say about myself. BM: Fair enough. Second question is, Would you consider yourself a spiritual person?